MPs backed the Prime Minister’s proposal to call an early general election in a convincing vote in the House of Commons yesterday (Wednesday 20 April). And already the political parties in Brighton and Hove are preparing to pick their candidates as quickly as proper processes allow. There are, though, signs that the choice will be taken out of the hands of local Labour and Conservative parties. 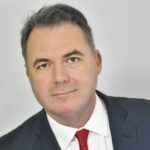 The three sitting MPs will stand again – Simon Kirby for the Conservatives in Brighton Kemptown, Caroline Lucas for the Greens in Brighton Pavilion and Peter Kyle for Labour in Hove. There may be formal adoption or ratification processes to go through but they will not face a challenge from within their respective parties. Two Brighton Labour councillors are putting themselves forward for the fight in Brighton Kemptown – constituency party secretary Lloyd Russell-Moyle, who represents East Brighton on Brighton and Hove City Council, and Dan Yates, who represents Moulsecoomb and Bevendean. The party’s candidate for the seat at the 2015 general election, Nancy Platts, ruled herself out of the running yesterday. She came second by 690 votes last time, having narrowly been defeated by Caroline Lucas in Brighton Pavilion in 2010. Councillor Yates ran against Tim Loughton in East Worthing and Shoreham at both the 2001 and 2005 general elections and recorded Labour’s best performance there. Councillor Russell-Moyle stood in Lewes at the 2015 general election, finishing fourth. It was realistically a contest between the sitting Liberal Democrat MP Norman Baker and former Brighton Conservative councillor Maria Caulfield, who unseated him. She is standing again. Councillor Russell-Moyle said: “I had wanted to support Nancy and thought she would be a fantastic candidate. But I’m up for the fight whoever the candidate is. Latest TV broadcaster Sophie Cook is also keen to be selected as the Labour candidate after becoming Britain’s first trans television presenter. The Lib Dems picked candidates in the autumn in anticipation of a snap election. In Brighton Kemptown, the party is expected to confirm within days that Emily Tester will stand. She is a former student at Brighton, Hove and Sussex VI Form College (BHASVIC), currently serving as a town councillor in Littlehampton. In Hove the Conservatives are expected to move as quickly as possible to find the right person to take on Peter Kyle, who won the seat against the political tide in May 2015. Names in the frame include Kristy Adams, who was beaten to the selection by Graham Cox two years ago, and Clarence Mitchell, who increased the Conservative vote in Brighton Pavilion against the odds, closing the gap on Labour from 2010. 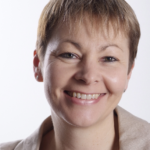 With the Lib Dem vote seeming to switch to Caroline Lucas, though, Britain’s first Green MP was able to increase her majority. The UKIP candidate in 2015, Kevin Smith, has ruled out standing again. The Lib Dem candidate is likely to be Carrie Hynds. Again, her selection is likely to be confirmed within days, along with that of Paul Chandler in Brighton Pavilion. Mr Chandler stood in Kemptown in 2015. There has been talk of a progressive alliance, with Carline Lucas broaching the subject yesterday. It would mean one or more parties of the left not putting up a candidate to improve the chances of beating the Conservatives. The obstacles to agreement may prove too great this time round. 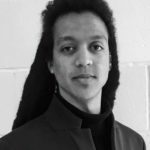 Labour and the Tories face a challenge in finding candidates of the right calibre to take on Caroline Lucas in Pavilion although there has been speculation that Sussex University politics student Solomon Curtis would like to stand for Labour. He won an increased share of the vote in safe Tory Wealden at the 2015 general election when he was just 18 years old. The parties will be mindful of the end of term at both Sussex and Brighton University. Summer term ends on Friday 9 June – the day after the election – with end-of-year assessments for many scheduled until that date. Those whose assessments are over may head home before polling day which could affect the Green vote although the party is at pains to point out that its electoral base runs wider. After yesterday’s vote in the House of Commons to support an election on Thursday 8 June, it became clear that the last sitting day is likely to be Tuesday 2 May. Parliament would then be formally dissolved on Wednesday 3 May. It could yet happen sooner. The deadline for nominations is at 4pm on Thursday 11 May and the deadline for voters to register is on Monday 22 May. Kristy Adams? Clarence Mitchell? Who are they & what is their governance experience in Hove? Surely nothing! It feels too soon for Robert Nemeth to stand; but if he does not become the candidate, and the next Hove MP voted in is Tory, , he/she would be an incumbent next time, meaning Robert could not stand in Hove. So arguably he should be selected NOW. Bad timing with a brand new baby though & it means a by-election should he become MP for Hove. His adored new baby is surely the biggest timing issue (however much fatherhood plainly suits him). He takes her everywhere & tweets lots of pictures of her). The illness of Mike Weatherley (the MP before Peter Kyle) meant that a lot of the Hove constituency work fell to Robert Nemeth, who worked for him in the most senior of his staff positions. He knows exactly what being MP for Hove entails. BUT! As Wish ward cllr, Robert has brought a deeper level of competence, engagement and usefulness to the job of cllr (and the council) than most other cllrs – of whatever stripe. Losing him as a cllr, so soon, would be very bad news for King Alfred project oversight, where his experience of development is clearly valuable. His intervention challenging the financial reasons for closing/selling Hove’s Carnegie Library was sensationally effective. He is an action man in a blathering fool’s game – which is what politics mostly ends up being. BHCC’s Tory opposition needs him now. How embedded is Peter Kyle? How likely is it he can be beaten? He is an inappropriate overdevelopment yes-man, alas, so loses the vote I gave him last time. Crazy & destructive overdevelopment is a perennial issue where Labour are concerned. So both the Tories and Robert have a dilemma about whether to give the Hove shot to Robert! But he could stand for & get selected for another town! His long-term ambition has always been about becoming an MP. The new baby could prove to be the decisive issue Robert must factor into his personal plans. Becoming a parent changes everything and destabilises the pre-existing groove bigstyle. The first 18 months of a first child is said to be critical for affect on parents’ relationships for good or ill as the life role changes dramatically once kids arrive. PRESSURE! What would I do if I was Robert? I’d have faith in the future (he is young!) and perhaps not go for it this time. If Kyle wins, then PPC for Hove in 2022 should be given to Robert when he has more elbow room and Hove would be easier for him to win (and probably keep for as long as he wants it). The MP Peter Kyle campaigned to close down Hove’s Carnegie Library. He swallowed all that false instruction rather than analyse it (to which he should have been alerted by the lies of 2003 attempt). Will you be standing as the Green candidate for Hove and Portslade in the GE again this time? Can you discuss anything other that keeping Hove Library services in the Carnegie building? Some people might think this election was about Breixt and where the candidates stand on that issue and not something as parochial as who voted to close down a library. It is a General Election, not a referendum on Europe, despite May trying to pitch it as that. After this, there will probably not be a chance to discuss everything for another five years. And so these will be an incredibly intense seven weeks in which subject upon subject is discussed. (As for “Brexit”, that is underway and will most likely collapse, so I do not see what bearing the Election has upon it.) I very much think that if an MP does not trouble to analyse the bogus figures put forward by a Council officer with a decade-long obsession about closing down the Library, how can he be trusted to look closely at other matters? Christopher – you are so obsessed with your beloved library that you seem totally unable to realise that to most people it is of little interest, other than concerns about the amount of public money that has been wasted on preserving it rather than looking at hw to provide better services more cheaply. Now will you confirm, or deny, whether you will stand against Peter as the Green party candidate so that we can see what else you can talk about other than your blasted Carnegie? Robert Nemeth is the only real choice, even though it will be tough to lose him as our councillor. We need people we can trust in government and as for a baby holding him back…..I think not, It makes him an even better candidate as a family man with the same worries and pressures as the rest of us. Your egostack is so swollen that you think you can demand people inform you personally of their decisions in life – you, who goes under a pseudonym, and lies. Beneath an Argus article you asserted that I was some pseudonymous commenter. I was not. I do not comment there but sometimes read them in horror. The point of a Library is that it enables people to read about many subjects, and that makes them interesting. Had you attended to the 2015 Election, you would have found me talking about many subjects. The point that perhaps resonated most, during an NHS debate, was my saying that human life is, if one is lucky, some 27,000 days. Which is not many. Several people commented on this afterwards. A variant, I suppose, on Kipling’s “the unforgiving minute”. I suggest you make a rough calculation of how many days you have left, and make better use of them than you appear to be doing by this weird obsession with me. Well, as you stood as the Green candidate in the previous election after, as you said, standing down from your council seat to allow this to happen, I would have thought you would be so keen to try again. Alternatively, do you aim to try becoming a councillor again at the next opportunity or will you just be concentrating on “saving Hove Library”. For someone who is so much in the public eye, surely it is only right that they are willing to answer questions about their plans. For me, a mere resident who wants to know where his council tax is being spent on his behalf, I do no see why I have to publicly identify myself. Switching to accuse me of egotism is a bit much when you have to resort to pretentiously quoting Kipling! Perhaps you should also post using a pseudonym, or do you feel it vital to you to let everyone know who you are – which I would real call egotism? And yes it was weird that my comments in The Argus that accused a poster of being you as a pseudonym got deleted and the poster has never appeared again. Well what they said seems to be almost identical to your stated views previously, but we don’t want to read anything into that – do we? You are a liar. That commenter – called, I think, hope over experience – often makes comments, and it is not me. But people agree with what I say about the Library. That is why there were 5000 posters in windows. Robert Nemeth is the only credible choice who can unseat Kyle, he has a wealth of knowledge of Hove and also Parliament having worked for Michael Gove and Mike Weatherley. I fear that Hove Tories have made a big mistake in selecting Kristy Adams as their candidate. Have you seen missing Brighton man?